In New Jersey, if a driver is arrested and convicted of driving under the influence, it generally involves alcohol or recreational drugs. What many are unaware of, however, is that driving under the influence of prescription pills can lead to the same charges as for alcohol and illicit drug use. Much like a driver who is caught driving drunk will be confronted with the possible loss of driving privileges, fines, surcharges and jail time, being caught under the influence of prescription pills is viewed in the same category. Looking at prescription pills similarly to alcohol, both are legal. That doesn’t mean that drivers are allowed to operate their vehicles under their influence. Examples of prescription drugs that will hinder a person’s ability to drive are Xanax, Vicodin and Oxycontin. It’s legal to have with a prescription, but it can result in being charged with DUI. The reason a law enforcement officer will make a traffic stop to investigate a DUI are all-encompassing whether the driver has been using alcohol or drugs. If the vehicle violates traffic laws, performs reckless actions or is swerving in and out of traffic, the officer will be compelled to stop it and investigate. When speaking to the driver, certain signs will be looked for to see if there is the possibility that the driver is under the influence. These can include slurred words, bloodshot or glassy eyes and possibly an open container of alcohol or pills. The driver will then be given field sobriety tests such as the Walk-and-Turn test and the One-Leg Stand test. After that, the officer might want to give a breathalyzer test. With alcohol the breathalyzer test is designed to determine what the blood alcohol content of the driver is. With pills, however, the breathalyzer test is not applicable. It will be necessary for there to be a toxicology test via urine or blood to see what is in the driver’s system. 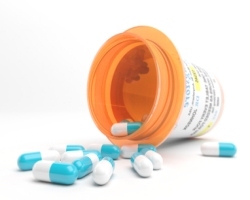 A driver cannot be convicted simply because there is a prescription drug in his or her system. This is when the prosecution will use what is known as a Drug Recognition Expert (DRE) to come to a determination on whether or not the individual has been using drugs. The DRE will be called to the police precinct to examine the suspect. There are numerous categories of drugs that the DRE is trained to recognize. In order to come to a determination as to whether the suspect has been using drugs, the DRE will use the breathalyzer test to eliminate alcohol as a possible reason for intoxication. The arresting officer will be conferred with. The suspect will be questioned to accrue information. An eye examination will be undertaken looking for nystagmus and studying the pupils. Divided attention tests like the aforementioned field sobriety tests will be given. The vital signs will be taken. There will be a dark room examination, a look at the suspect’s muscle tone and scanning for injection sites. Samples of the blood and/or urine will be taken. A person who is convicted of driving under the influence of prescription drugs will face the same penalties that a DWI driver would face if the BAC is 0.10% or higher. There will be a driver’s license suspension of seven months to one year. There can be up to 30 days in jail. The driver will pay an annual fee of $1,000 per year for three years. There will be a fine of $300 to $500. $100 will be paid to the drunk driving fund as well as the Alcohol Education and Rehabilitation Fund (AERF). $230 will be paid to the Intoxicated Driver Resource Center (IDRC). $75 will go to the Neighborhood Services Fund. In order to avoid these penalties, drivers need to be aware that although they might have a prescription for their drugs, it doesn’t necessarily mean that they make it safe to operate a motor vehicle after using them. The prescription is no more of an excuse to drive under the influence of prescription drugs than a receipt from the liquor store and proof that the driver is over 21 is for drinking and driving.